The first 6 hectares of vines were planted in 1984, with another 4 hectares planted between 2003 and 2005. More than 60% of the vineyard is Pinot Noir, with the balance being Chardonnay, Riesling, Gewürztraminer and Sylvaner. We have 3 major vineyard blocks, all producing their own distinct terroir. Silver Hill is a 1.2 hectare block of Pinot Noir, arguably producing the best fruit on the property. The Home block, running parallel with the driveway, is planted with Chardonnay and Pinot Noir and is 2.8 hectare in size. It has a clay soil structure and while only 400m from Silver Hill delivers a significantly different flavour of Pinot Noir, despite being the same 115 clone as Silver Hill. Then we have the old block. At 6 hectare, it has a different clone of Pinot Noir (D5V12) and also grows the Riesling, Sylvaner and Gewurtztraminer, as well as some Chardonnay. 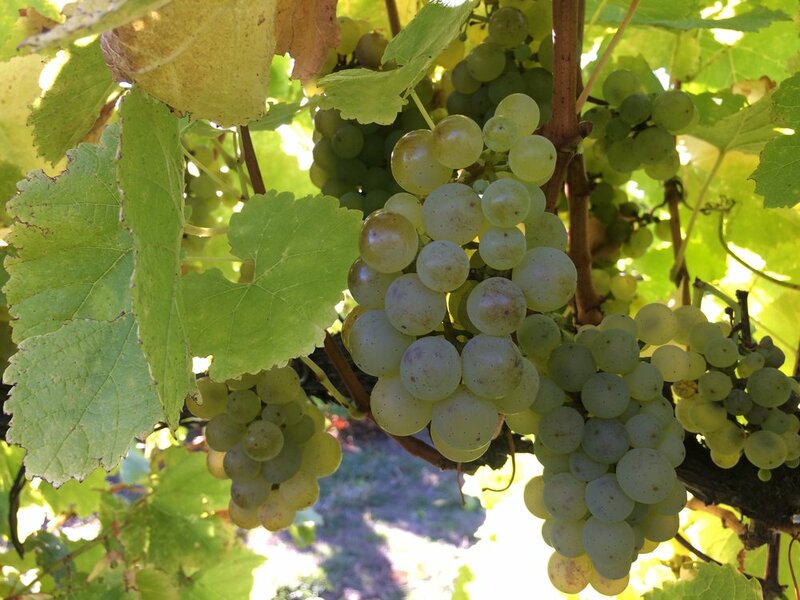 We also have a couple of unknown Muscat varieties from which we will try and make Muscatels (so far without success). There is lots of work to be done here. Over the next 5 years all of the trellis will need to be replaced as most of it is broken, unable to handle the early Spring wind loads. To give this some context, we will replace almost 40kms of grapevine structure which equates to approximately 240kms of wire and roughly 5000 upright posts. Given the age of the vines and their deep root structures none of it needs to be irrigated in summer, which leads to slightly smaller fruit clusters but with a real intensity of flavour. Our cellar door has recently undergone renovation and is now open between Friday and Sunday. An old farm shed, it was lined with straw and daub when we arrived, but we soon discovered the straw was a favoured home for rats which the cats simply couldn't keep up with. Vineyard work takes most of our time, and even though we are opening the cellar for only limited days we know that many visitors can't make it between Friday and Sunday, so if you are in the area and the gate is open come on in, or call and we will accomodate you if we can. If you feel the will to help us re-establish this old Vineyard and enjoy our eternal gratitude, then you can show your support here.